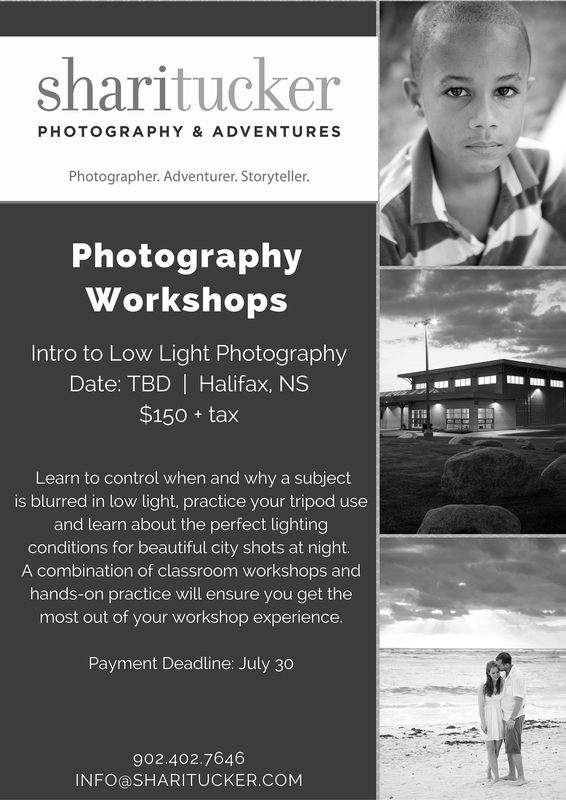 Intro to Low Light Photo Workshop presented by Shari Tucker Photography & Adventures. Intro to Low Light Photography will run in August on a weekday evening. Approx. times: 6pm – 10pm. This course can only be taken with a digital SLR camera and tripod. You must be comfortable using your camera on fully manual mode and know how to control iso, shutter speed and aperture.